We understand the need to provide an efficient service to customers without sacrificing quality of work. 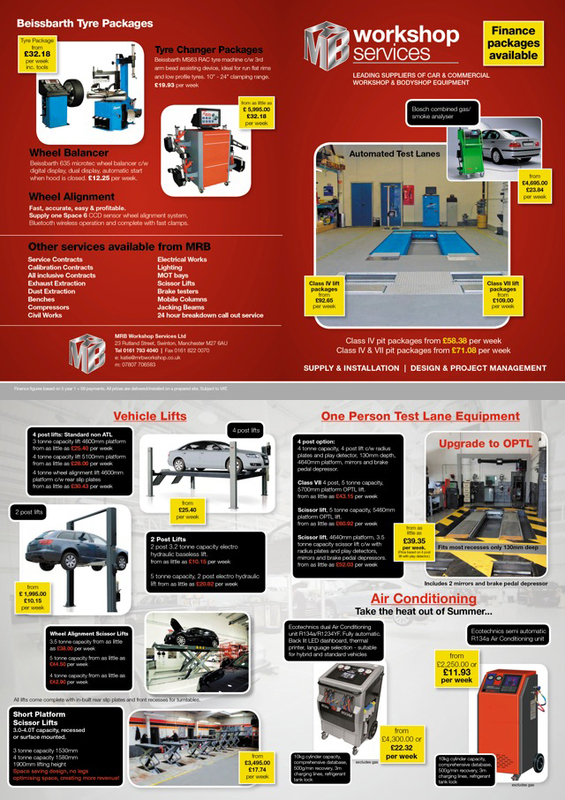 That is why we offer a broad range of garage equipment to ensure that local businesses have everything they need to offer expert and professional services to their customers. Whether you are looking for commercial in-ground lifts or want to branch out with our spray booth ovens, we will assign you with a specific project manager who can help you take your small business to the next level. With over 25 years’ experience we know everything there is to know about getting the most out of business and will work with you to help you make the most of your space. We can provide you with a range of equipment including full installation by our team of experts.